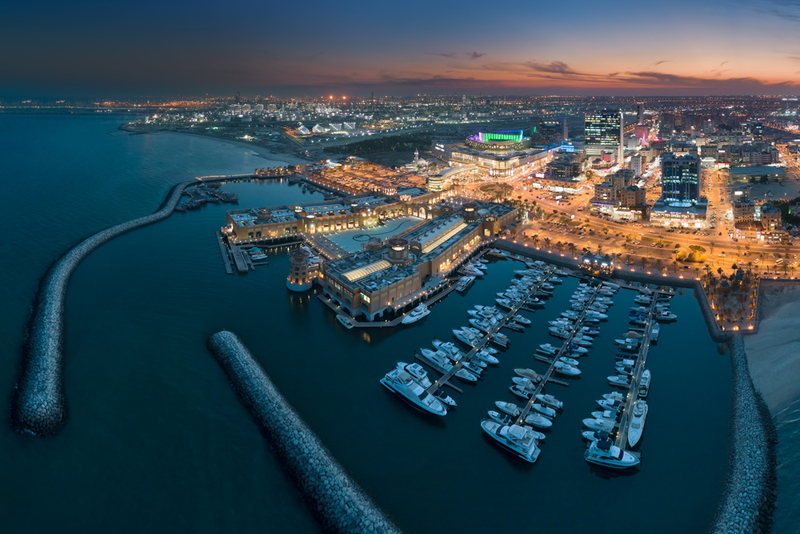 Kuwait’s largest waterfront, retail and leisure destination, offers a rich diversity of shopping, lifestyle, dining, entertainment and recreational experiences in one world-class destination. Spanning a mammoth 300,000 m2, the project includes 360 stores (17 anchor stores) across 100,000 m2 of retail space, as well as a 12-screen, state-of-the-art cinema, a 200-room 5-star hotel, a 3,700 m2 multipurpose ballroom and 3,600 easy-access parking spaces. With an eclectic mix of international brands populating a vast restaurant precinct with panoramic sea views, rooftop entertainment, performing fountains, indoor-outdoor experiences, a fresh food market and seafront promenades across six great experiences, Al Kout is expected to draw 20 million visitors annually. 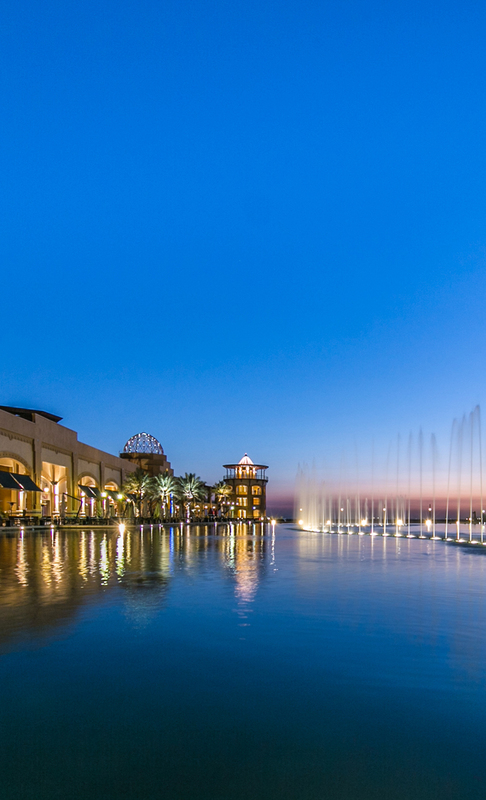 Al Kout Mall is the largest shopping and entertainment destination in the South of Kuwait, offering world-class retail, lifestyle, dining, entertainment and leisure experiences. 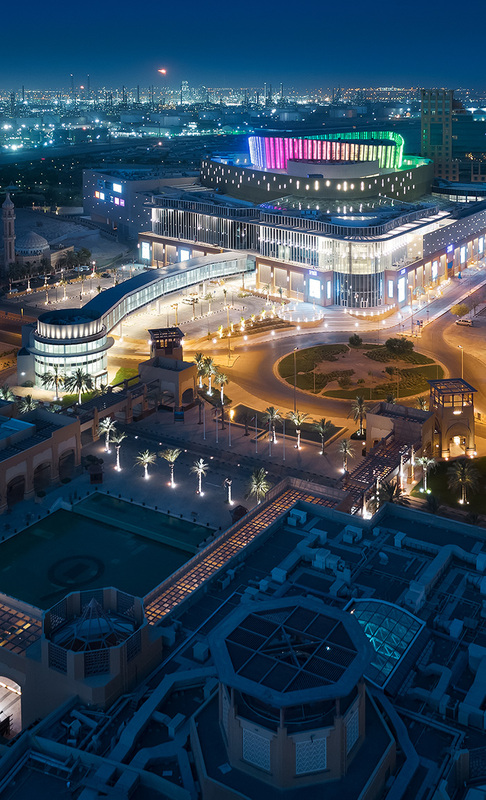 Al Kout Mall features an eclectic mix of leading retail brands and a specialized restaurant precinct, offering international, regional and local restaurants and cafes. Demonstrating its appeal as a family entertainment hub, Al Kout Mall is home to Infunity Sea and the state-of-the-art Cinescape, which offers the latest international movie experiences in high-end IMAX and 4DX systems. Entertainment doesn’t end there, with the top floor of Al Kout Mall home to the Middle East’s largest indoor go karting track, Q8 Karting, soon top open in Q4 2019. 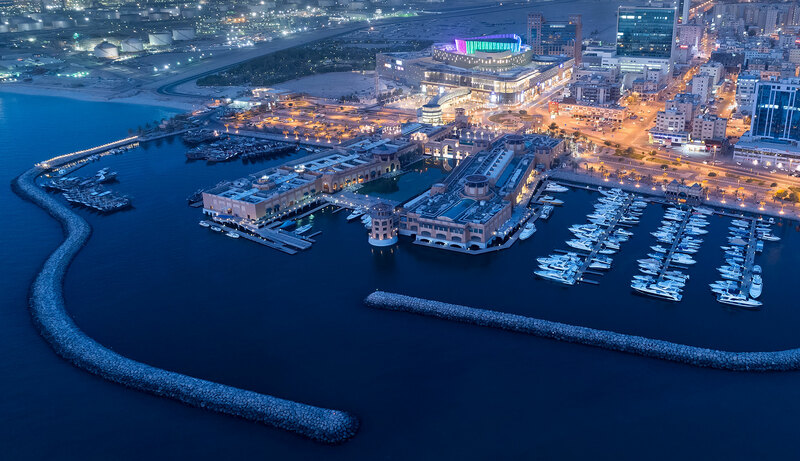 Connected to Al Kout Mall by a footbridge that affords visitors breathtaking views of Souq Al Kout impressive dancing fountains and marina, Souq Al Kout reflects the simplicity of shopping in old Kuwait and provides a perfect contrast to the modern Al Kout Mall experience. Paying tribute to the area’s heritage, Souq Al Kout features a traditional-style marketplace where traders sell fruit, vegetables, fish and meat. With signature musical fountains playing symphonies all day long, the traditional marketplace is only part of what Souq Al Kout has to offer. The area is home to a series of new shopping attractions. With more than 100 local and international retail and dining options to choose from, Souq Al Kout creates an enchanting experience and the perfect backdrop for al fresco dining and a great outdoor café experience. The new 5-star hotel takes service to a new level and the hotel’s generous facilities provide the perfect blend of authentic hospitality and progressive development. 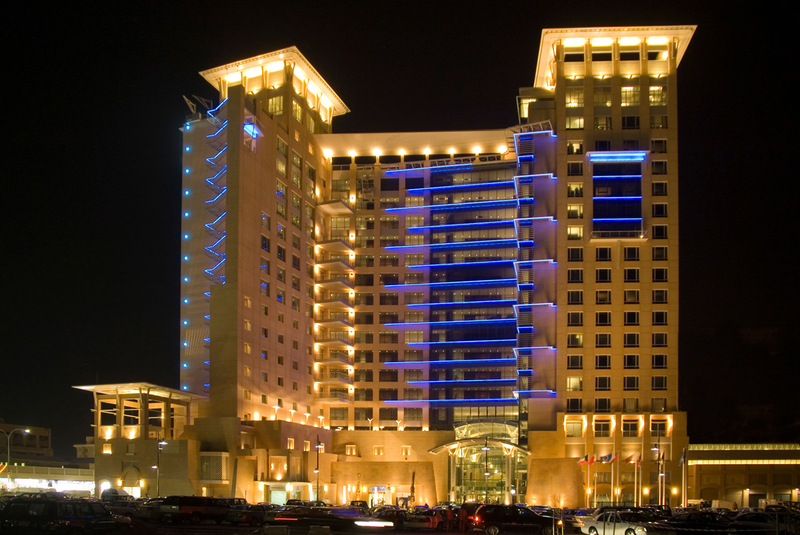 The Hyatt Regency Al Kout Mall Hotel offers 200 luxurious guest rooms, making it perfect for business and leisure travelers alike. Directly connected to Al Kout Mall, the hotel boasts a captivating 3,700m2 multi-purpose ballroom conveniently located 25 minutes away from Kuwait International Airport and 45 minutes from the Saudi Arabian border, making it the ideal venue for weddings and large corporate events. 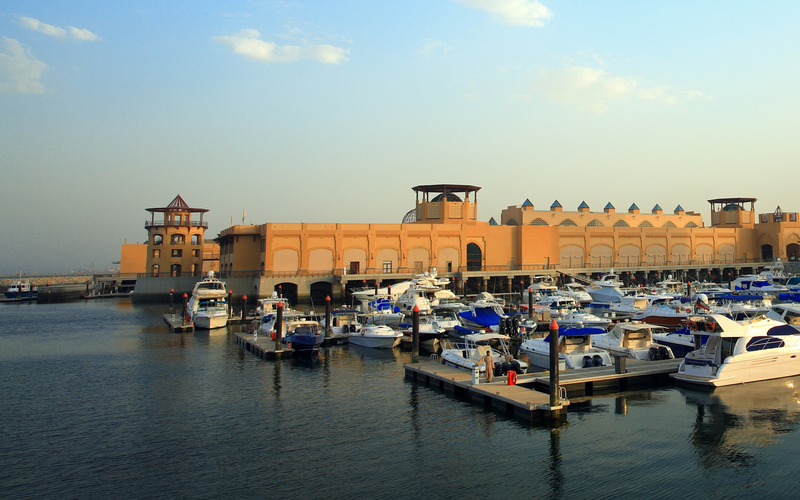 A true heritage capital, Nag’at Al Kout is a long-favoured pier of Kuwaiti fishermen. 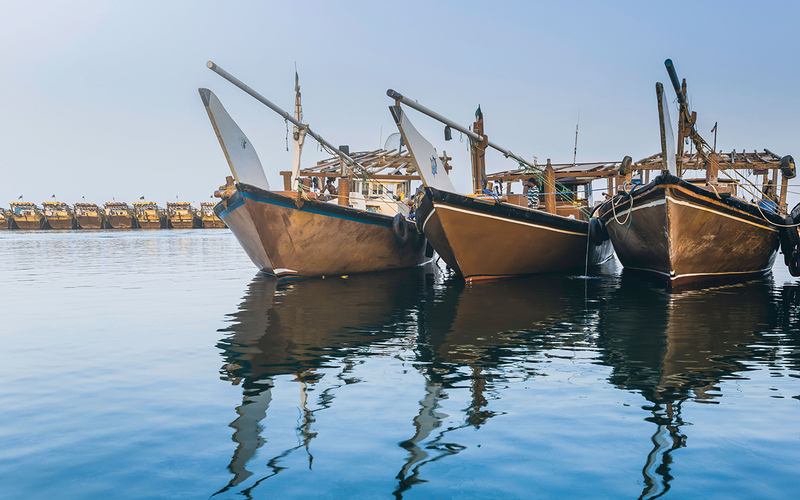 The traditional wharf is where the skilled craftsmen moor their dhows and ply their trade as they always have throughout Kuwaiti history. Sahel Al Kout is a stunning beachfront and promenade that offers the perfect destination for relaxation and uninterrupted views of the Arabian Gulf. 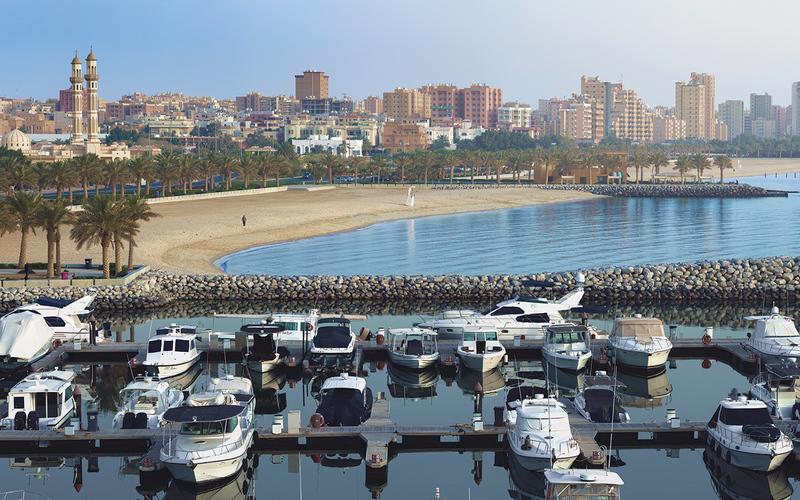 Marsa Al Kout is another truly modern element of pioneering the vast Al Kout project: a 150-berth marina designed to accommodate leisure boats and yachts.